There’s a lot to love about living south of 470. For cycling fans, easy access to amazing rides tops the list. 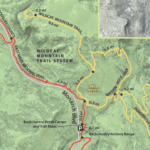 The HRCA trails within the Wildcat Mountain Trail System make an easy to intermediate singletrack loop where riders can hone their skills, get a quick outing or take the kids for a trail spin. Take Monarch Blvd. 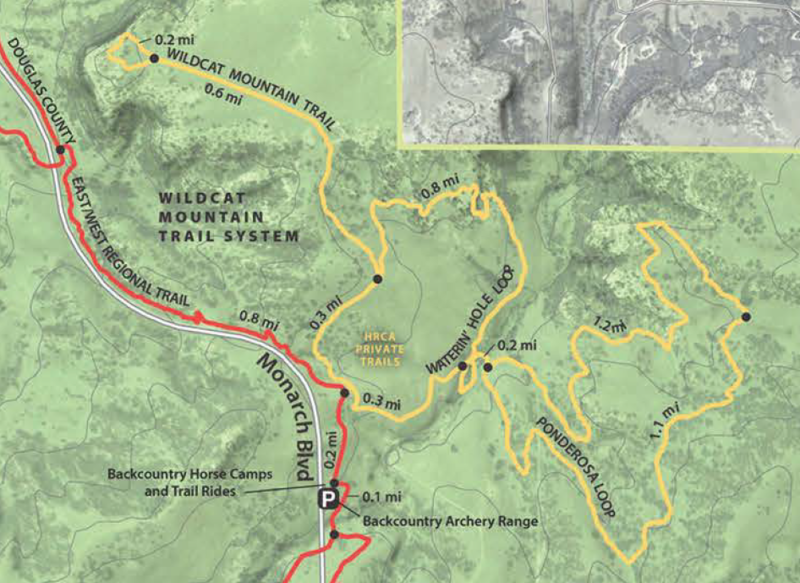 two miles south from Rocky Heights Middle School to the parking lot at Backcountry Horse Camps and Archery Range. Take the short connector trail out to Waterin’ Hole Loop. For the full figure eight, start to the right, and split off to the Ponderosa Loop after .5 miles. You’ll cross a stream and turn either direction to follow Ponderosa for 2.5 miles, eventually circling back to Waterin’ Hole. 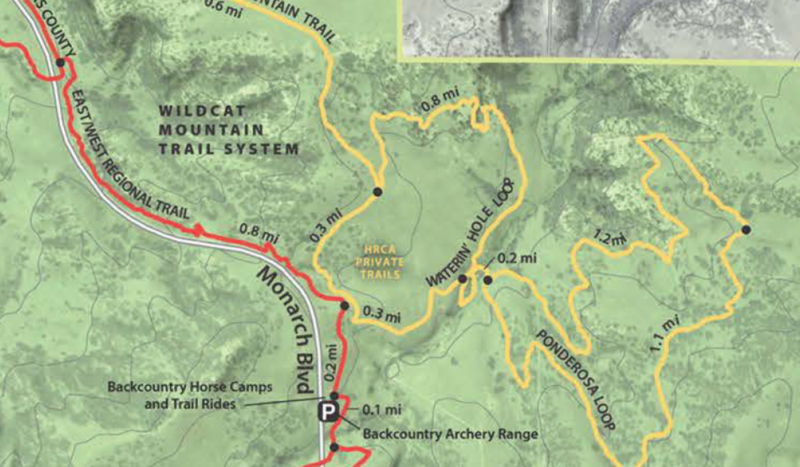 From here, peel right and follow the trail another mile to the Wildcat Mountain Trail. A 1.5 mile out-and-back with a slight climb will take you to a beautiful vista, and back down to Waterin’ Hole, where you’ll turn right and sprint to the finish.